8x10 glass negative, Bain News Service. New York circa 1908. 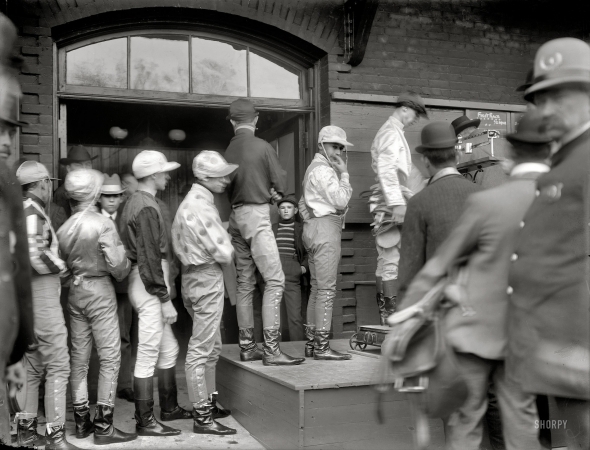 "Racing -- weighing the jockeys."